Home › Tools › What Is SunFrog? Pick. Promote. Profit. This is SunFrog slogan for sellers and designers of t-shirts. I was made aware of SunFrog from a commenter on a different T-shirt company review I did; he stated he liked SunFrog. Light bulbs went off, as I have reviewed many print on demand companies that allow people to design and make money from. I had never heard of them, but they’re a pretty big player in this field. Well, for those of you, like me wondering what is SunFrog? I hope to enlighten and share this excellent opportunity for a great company in which to potentially make money from by just designing t-shirts. SunFrog has been around a relatively short amount of time, since 2013. But that hasn’t stopped them from becoming a significant player in an inundated field of business. Well, try the highest average maximum payouts at 65%. You can also get paid to promote someone else’s work. Pretty great right. So, even if you’re not an artist you can still make money if you are an effective marketer. This is the only company, I know of that has this feature out there. SunFrog is a mainly a print on demand t-shirt company that also sells leggings, hoodies, and mugs. They print unique designs made and uploaded by individual artists. When their designed products sell the artist makes a percentage of that sell. The company has over one million designs that are available for sale that is sure to have something for everybody. 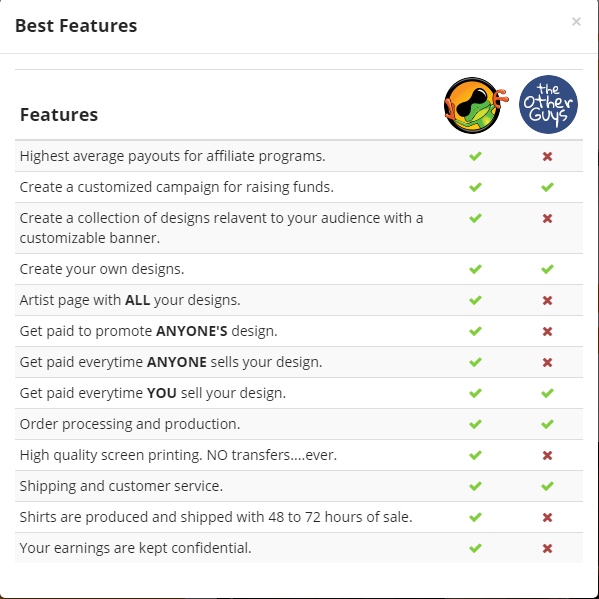 You get paid for every t-shirt or product you sell. Unlike other companies that require you to hit a minimum goal and if you don’t hit that goal, you don’t make any money. Not here at SunFrog, you get paid for every sale. No expire date on campaigns, another nice feature, as some other sites expire after a certain length of time. This allows you less work, as you don’t have to repost your campaigns. Once you put up a design, it’s up forever. Kewl. The ability to promote and get paid to promote someone else’s work. A legal screening will review each design free of charge for copyright and trademark protection. Shirts are shipped within 72 hours of sale. Love the quality and quantity of diversity at SF. 20 million potential buyers that visit SunFrog. Possible great exposure. Feature artist page with all of you designs on one page. Great conversions due to the way the platform is set up and ran. SunFrog Academy – A plethora of free training and information designed to help the novice as well as the expert grow and create successful campaigns. SunFrog has a Widget, which is excellent for anyone with a website or blog to market to your audience easily. This is basically a specific ad in which you can optimize and generate to post on your site. A nice little feature. A protective and robust stance on copyright infringement. This protects the original artist from being hijacked by anyone wanting to make money off of someone’s else’s design. Plenty of resources to report infringement. A 90-day money back guarantees for your order date. As you the seller you set the price of the t-shirt, anywhere from $19 to $35. Campaign tracking with tons of details to track. Great Support: Email, Chat, even a freaking telephone number. SunFrog has an active affiliate program, if you would like to support this site, please click Join SunFrog Now. Easy to read and understand sizing chart for every shirt provided. A useful and helpful Blog, which feature Contests, New Features, How To’s, Videos and more. Some of the training is vague and doesn’t show or spell it out for you in detail. I had questions that some of the videos never addressed. Limited product selection, all I’ve seen is t-shirts, hoodies, coffee mugs, and leggings. Marketing is on your shoulders. Highly competitive field to go into. Number Freaking One Tip!!!!! Knowledge is Power. If you want to be completely serious and start making money online, you need to invest your time at the SunFrog Academy. Learn all the free information you can. Then go out and act on that knowledge. SunFrog has invested their time and money to make sure their sellers can sell, and it is up to you to go out and learn this. Just as compelling tip TWO!!!!! 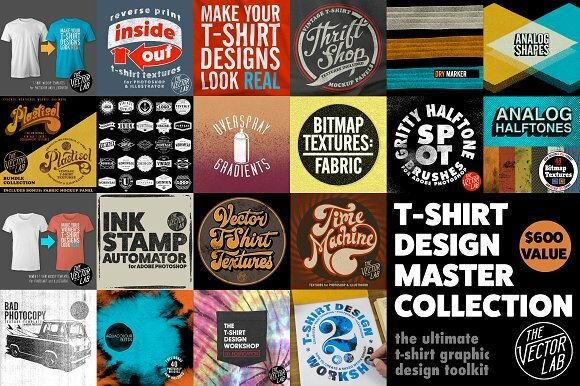 If you’re looking for stock already handcrafted designs, vectors, patterns, brushes, fonts, and even more to use for your t-shirt designs, head on over to Creative Market. Fantastic and cheap materials to dramatically boost your t-shirt game to the next level. A small example of what is offered at Creative Market for t-shirts. Take a look. Tip Three!!! Head on over to my page, Tips On Designing T-Shirts And Selling Them Online for great tips to help you start earning. Where Do I find Sunfrog Discount Code? 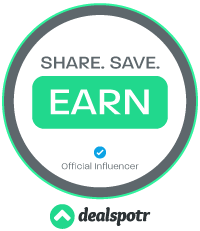 If you’re looking for promo or coupon codes I highly recommend using Dealspotr, their SunFrog page can be found here, Dealspotr: SunFrog Page. They are the best place for online promo codes and sales. This is another great way to earn money as well by just posting deals online. You can read all about on my page, What Is Dealspotr About? Join the SunFrog Mailing list for all special discounts and freebie offers, as well as getting notified of new designs. Check out the SunFrog Blog many tips and training there to learn and grow from. 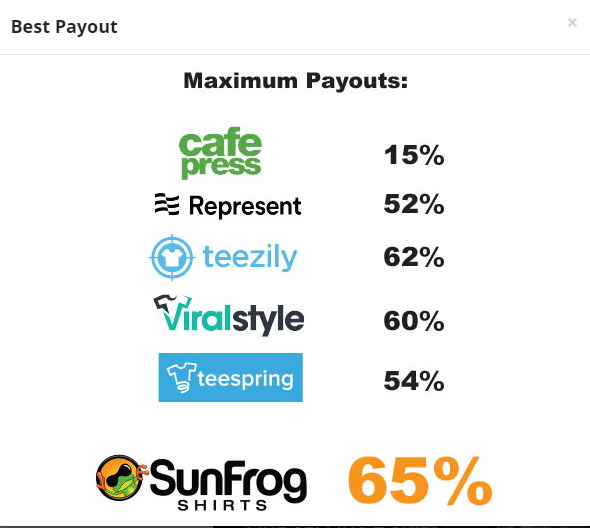 Payout percentage of T-shirt companies. There a vast amount of T-Shirt companies out there some worth joining and other worth avoiding. I have written many articles about such companies; I will post the link to others as well as my articles if you are interested in researching more. Viralstyle – Read my review here Is Viral Style A Scam? Teezily – Read my full review here What Is Teezily? Anybody can design t-shirts. This is what makes designing t-shirts so interesting. I love, love, love to see when a company I am reviewing, has the proper educational tools and training to make their users successful and…SunFrog delivers this in spades! At the SunFrog Academy, it’s completely free! Why? Because, when you the seller/artist do well, SunFrog does well. It provides the opportunity for ambitious entrepreneurs an avenue to learning and most importantly being successful. What kind of courses do they have? Great question. Do yourself a real favor and invest your time into these courses! Along with the training there is also training to be found on their blog page. Worth checking out as well. The support you can receive at SunFrog is pretty all-encompassing. Chat, Email, and Telephone. Chat is a great way to get ahold of someone fast and is my preferred method. SunFrog phone number is 989-282-3119. This is one of my highest reviews for a print on demand t-shirt design company. The margin of profit is the highest, as well as many other very positive benefits for sellers. You can even promote someone else’s work and profit from it. They have all the necessary support and training to launch yourself into a highly competitive field. So, if you’re thinking of designing and marketing your designs, you will be guaranteed to have a good foundation around you to help you prosper. There are lots of unhappy customers and the T-shirts’ quality isn’t that good according to the reviews. Thanks for the additional information, I hope some people will look at this and determine on their own whether or not to go with them.